Besides a superior driving experience and big savings on fuel, the big difference electric vehicles bring to the table is the convenience of charging a car over the errand of visiting a gas station to fill up. Electric cars make great daily drivers today, you just have to get used to plugging them in. We’ll break down the basics of electric vehicle charging, the different “levels” of charging available, and help you understand how to use them. At their core, the batteries in an electric car are like supersized versions of the battery in a cell phone. Batteries hold direct current (DC) electricity and deliver it on demand – when you turn on a cell phone’s screen or step on the accelerator pedal in an electric car. Like a smart phone, charging an electric car is really simple, just plug it in. But the size of the battery means it takes a lot more electricity, and a lot more time off of a standard outlet, to recharge. 1. How much electricity can be drawn from the source – a 9.6 kW line supplies more electricity than a 1.4 kW line can, resulting in higher charging speed. 2. How much electricity the car can accept – if an electric car can only accept up to 6.6 kW, it will limit a 9.6 kW line to 6.6 kW. 3. The size of the battery – a larger battery takes longer to charge than a smaller one. The first point is what electric car drivers have control over. There are multiple “levels” of charger, referring to how much power they’ll supply your battery. When you plug an electric car into a standard 120-volt household power outlet, you get Level 1 charging. This makes it by far the most accessible type of charging. Most garages have a power outlet, and all electric cars come with a basic charging cord to make use of it. The outlets we’re all familiar with supply Level 1 charging. However, it’s the slowest form of charging available, capable of replenishing only 3-5 miles of range per hour. This makes it best suited for plug-in hybrid owners whose vehicles could be fully recharged in less than 8 hours. Level 1 charging doesn’t make the cut for daily use for a full battery-electric vehicle just because their batteries are so large. From empty, it would take over 40 hours to completely recharge a Chevy Bolt. That’s where Level 2 comes in. 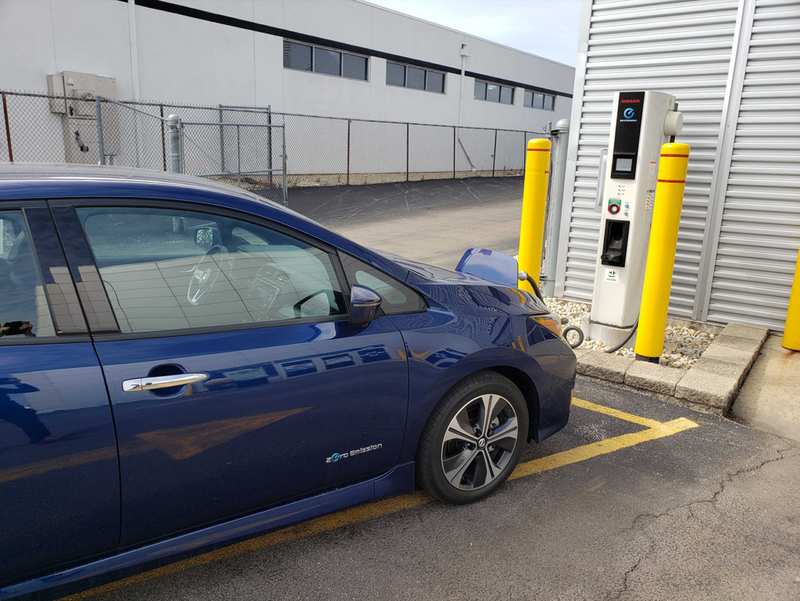 Level 2 charging uses 240-volt power, same as what’s used for high-power appliances such as ovens, clothes dryers, water heaters, and air-conditioners. While it’s becoming common for new houses to come with optional 240v power in garages specifically for electric vehicle charging, most existing homes do not have it set up. 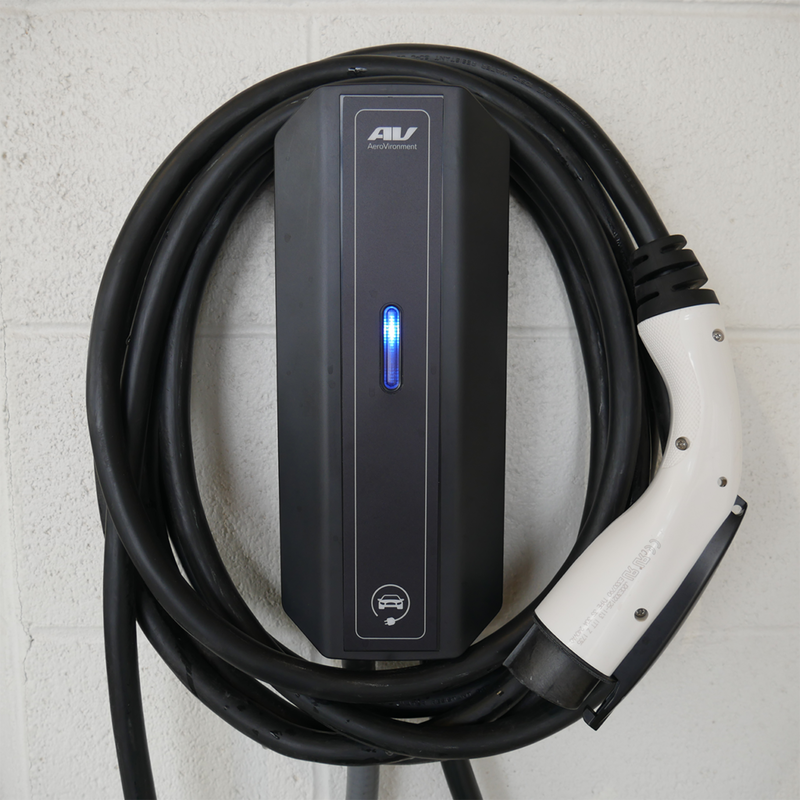 Electric vehicle owners usually have 240-volt line run into their garage, where they can connect Level 2 electric vehicle service equipment (EVSE), which is the proper (fancy) name for electric vehicle charging units. This is the Level 2 EVSE we use at Current Automotive. 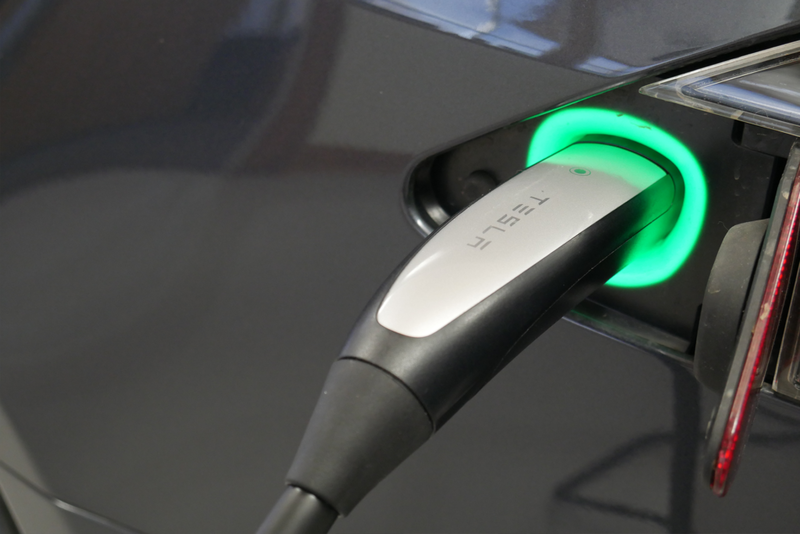 Level 2 charging at home is enough for the vast majority of an electric vehicle driver’s regular needs. The same Chevy Bolt that takes over 40 hours to charge at Level 1 can take less than 10 hours to charge at Level 2. And that’s a full charge from empty – most people don’t put over 200 miles on their car in a day, so it regularly takes less time than that. You top off your charge every day, instead of filling up from empty. 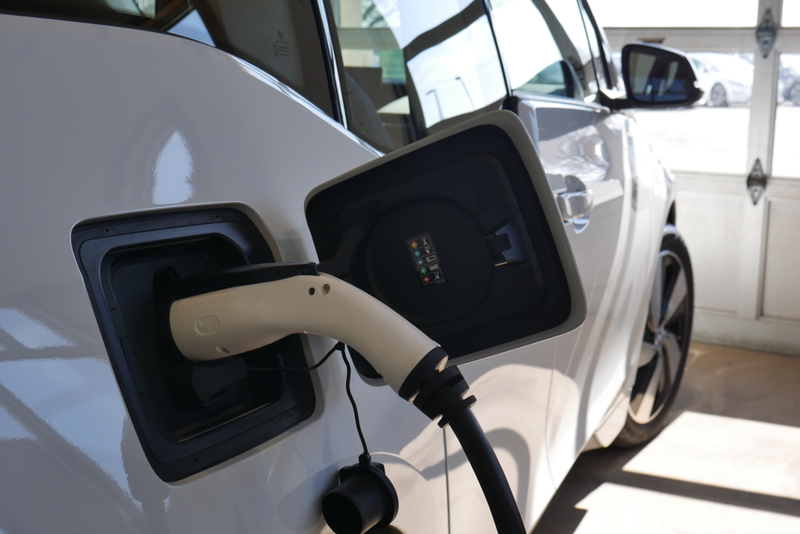 Level 2 charging is also what’s available at most public chargers, installed at places like grocery stores, restaurants, and hotels. They’re convenient to keep your car charged while you’re out and about and away from home. They don’t cut it when it comes to road trips though. That’s where Level 3, or DC fast charging comes in. Level 3 chargers essentially send DC electricity straight from the power grid into an electric car’s battery. This allows them to bypass the car’s built-in charging limit and supply a huge amount of electricity in a short amount of time. Drivers can get recharged and back on the road in 30 minutes or less, making Level 3 charging an ideal solution for road trips. Tesla’s Superchargers are the most well-known and well-established group of Level 3 chargers but are limited exclusively to Tesla vehicles. Other groups, like Electrify America, are working on building out their own networks of Level 3 chargers to make road trips easier for other electric vehicle drivers. Nissan Leaf charging at a Nissan DC Fast Charger. Fast charging is a crucial element of electric vehicle infrastructure. Tesla and other companies continue to invest in the technology to further reduce the amount of time it takes to charge a car. Electric car ownership will only get better as time goes on. Level 3 charging should not be considered for daily charging needs, as regular DC charging use can reduce the life of the battery. Additionally, stopping at a Level 3 charging is less convenient than charging at home. Here’s a quick breakdown of how long it takes to charge three popular battery electric vehicles at the aforementioned levels. Level 3 charging is typically measured in time to 80% charge, as speed tapers off after that point. While Level 1 charging clearly takes too long for the big batteries in these cars, Level 2 sits at a perfect point for overnight charging – the convenience of which is one of the biggest benefits of electric vehicle ownership. No matter how much you drive, if you are at home for at least eight hours every night, you’ll wake up every morning with a fully charged vehicle. Your home is where you refuel, no need to make an errand out of filling up your car. Use that time for something better. While electric vehicle infrastructure is new, organizations are building out new chargers at an astonishing pace. Level 2 chargers are available in many public places allowing for convenient recharging during meals or overnight at hotels. The creation of Level 3 charging networks is allowing electric vehicle drivers to road trip anywhere in America while enjoying a quieter, more comfortable, more powerful ride over conventional gas-burning cars. Charging is a different approach to refueling a vehicle – but it’s more convenient and offers big savings over the traditional alternative of filling up with gas. Electric vehicles are still new, so chargers aren’t located everywhere just yet. Thankfully there are a number of apps and websites out there to help drivers out when they need to charge. PlugShare and ChargeHub are apps that allow users to share locations of public electric vehicle chargers and update their status – if they’re occupied or need maintenance. 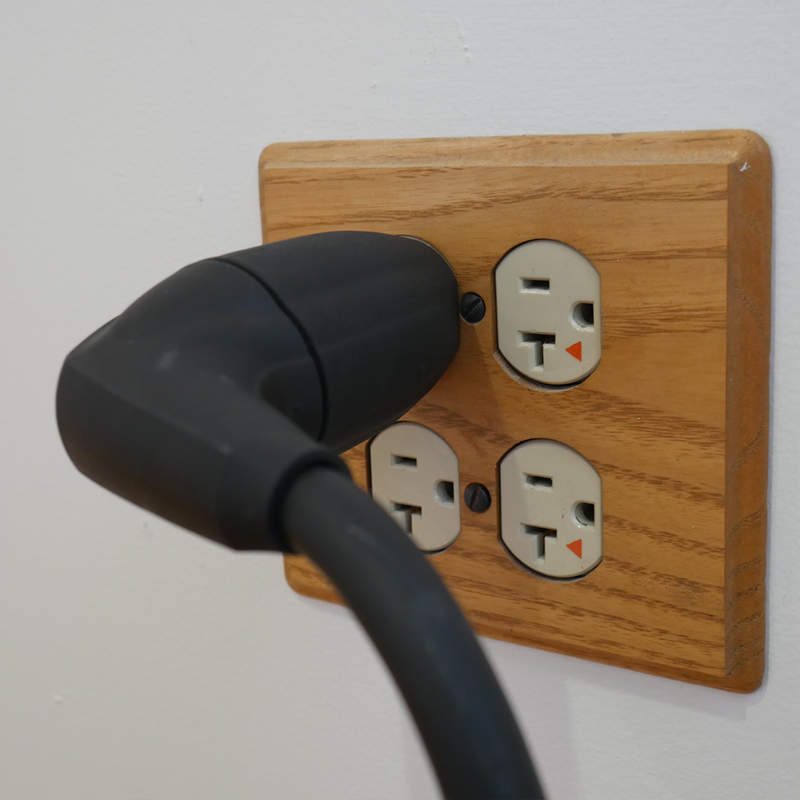 PlugShare even allows users to make their home charger available to other drivers. Tesla has a trip planner built into navigation systems that will automatically plan a route to faraway destinations that includes Supercharger stops. Chargeway is another mobile app that has a somewhat different approach. It simplifies plugs and charging levels into colors and numbers. It also has an in-built trip planner that will plan your stops according to what electric vehicle you’re charging. A Better Route Planner is a similar online app that can be used for other electric vehicles, planning stops at public Level 3 chargers. By arming you with the ability to find a plug anywhere you go, these tools make it even easier to drive electric.